U.S. International Media (USIM), the fastest growing independent media management agency, announced today that Alicia Nelson has been promoted to President, Broadcast Media Operations. Nelson’s advertising and media buying experience is extensive. She has been EVP, Broadcast Media Director for U.S. International Media since 2004. Prior to USIM, Nelson was EVP, Client Services for Initiative Media in Los Angeles. “Alicia’s passion to make our clients successful is what sets her apart and her leadership is a cornerstone of our company,” said Holt. U.S. International Media is the most diversified, fastest growing, independent, full-service media agency providing innovative media strategies, execution and results that cultivate and maximize our clients’ business with cutting edge media technology. USIM was founded in 2004 by media industry visionary, Dennis Holt, and currently has 22 local offices throughout the United States and Canada. USIM specializes in Media Research, Media Planning, Data Analytics, Local Broadcast and Cable, National Broadcast and Cable, Digital Media, Direct Response, Outof-Home, Print, Direct Marketing, and Multicultural Media. 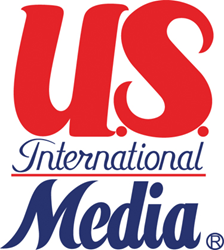 USIM was recently named MediaPost’s Programmatic Agency of the Year for 2015.